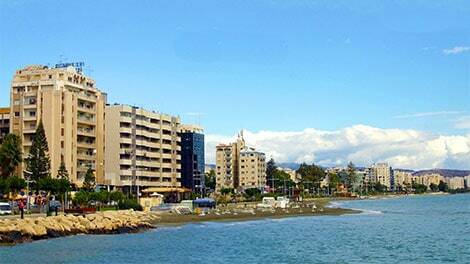 Two further residential developments in Limassol have been announced; a 21 storey development in the Germasogeia tourist area and a 12 storey development next to the beach and close to the city centre. @ WhoGives; spot-on. Just travel forward 20-25 years in our mind’s-eye and it’ll be a concrete slum. These developers must be aiming at the “Citizenship for Investment” market to secure their prospective buyers. Maybe these developments are part and parcel of their own successful applications. I guess the property management fees will be quite considerable. You’ll need strong sunglasses. Not just for the sun, but it’s rays reflecting off crystal covered phones, gold watches, teeth and rings so heavy their owners can barely lift their wrinkly arms up to see them, and bejewelled and Versace vinyl wrapped Mercs littering the quay-side. I’m sure a few other triumphs of ostentation over good taste too. When the next property bubble happens due to over surplus supply of high end sky scrapers with over prices, poor quality build quality once the investors, greedy developers made there money and disappeared who will be left to pick up the pieces of maintaining run down concrete eye sores in few year down the run.